The Great Smoky Mountains have some of the most stunning views and gorgeous scenery in the Southeast. Clearly, America has taken notice since 10 million of us visited this national park in 2014. There's just something about panoramas of rolling mountains and far off peaks that makes a vacation truly relaxing. 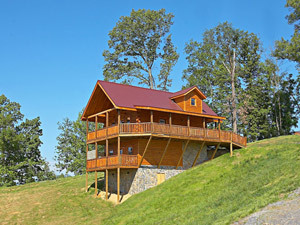 But did you know you could enjoy beautiful Smoky Mountain views from a comfortable log cabin rental? We made a list of the best places to find cabin rentals in Gatlinburg and the Smoky Mountains with amazing views. There are 3 regions in the Smoky Mountains that offer stunning views: Gatlinburg, Wears Valley, and the Foothills. Gatlinburg and Wears Valley are just outside of the national park and its towering mountain peaks. Cabin rentals in the foothills in Pigeon Forge and Sevierville are further away from the national park, but their vistas are no less stunning. Relaxing on your chalet's deck is even better with the Smoky Mountains as your back drop. Take a dip in the hot tub, sit back in a chair, or grill some delicious food and let the gorgeous mountains of Tennessee do their work. Chalet Village cabins are also near Ober Ski Mountain in Gatlinburg. Not only do these rentals have views of downtown, but also you can even see the tram carrying visitors to the ski the slopes on Mt. Harrison. This rental in the resort offers views of the ski slopes as well. Not to mention you can also see gorgeous scenery for miles. 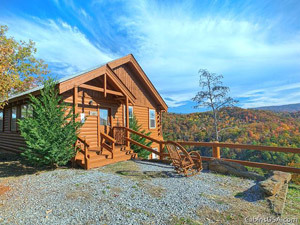 Cabins in Gatlinburg with views are often directed at Mt. LeConte, the 2nd highest peak in the Smokies. Views of this peak are made even more dramatic because it has one of the largest vertical mountain faces in the Eastern U.S. Vacation rentals in the Glades Road area are some of our secluded cabins with mountain views. These Gatlinburg cabins are located just off of the East Parkway in Gatlinburg which is somewhat off the beaten path. Not only does this prime location make it easy to reach downtown, but visitors can also explore some more quiet places in the national park like Greenbrier and Cosby Campground. Located only a short drive from Gatlinburg, Wears Valley, Tennessee is a small mountain community that's surrounded by big mountains. In fact, it's not all that different from world-famous Cades Cove in the national park. In addition to being close to Gatlinburg and Pigeon Forge, this part of the Smokies allows guests to quickly access the national park at Metcalf Bottoms. When you aren't hiking trails in the national park or playing at attractions downtown, visitors will love unwinding in cabins with unforgettable views. And what would gorgeous views be without some rocking chairs to relax in? Just let the stress melt away and enjoy gorgeous scenery and sounds of chirping birds. Who knows – you may even spy some wildlife like deer or gobbling turkeys. While cabin rentals in Gatlinburg and Wears Valley are close to some of the most dramatic mountain peaks in the Smokies, these resort areas offer unique scenic views. Cabins in the foothills rest in scenic rolling hill-country with the tall peaks of the Smoky Mountains far off in the distance. Think about looking at a large painting in a gallery. You can stand close to the canvas and admire the details or you can take a step back and appreciate the big picture. 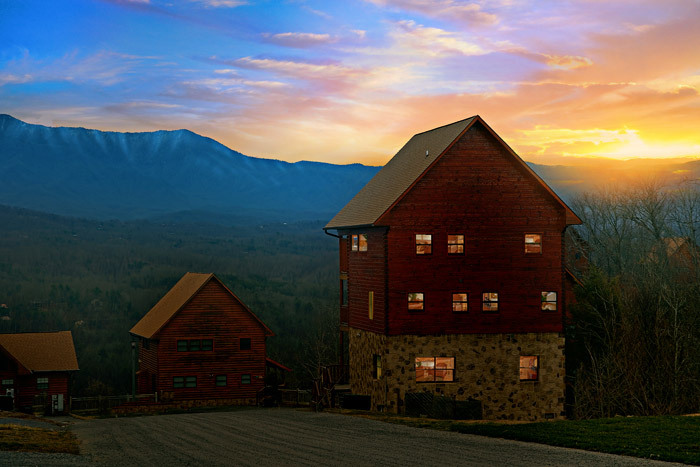 Cabins in Sevierville and Pigeon Forge have mountain views that show guests a different perspective of the Smokies. One resort area that rests in the gorgeous foothills of the Smokies is Rainbow Ridge in Sevierville. With beautiful rolling hills in the countryside, it's hard to go wrong with these cabin rentals. In addition to great amenities, Rainbow Ridge cabins are only a short drive from the attractions of the Pigeon Forge parkway. When you aren't busy taking in the best that Pigeon Forge can offer, simply enjoy a peaceful moment surrounded by beautiful scenery with the distant summits of the Smokies in the background. Many of the cabins in this community offer spacious decks and scenic vistas that can take your vacation to the next level! Much like other resort areas in the foothills, Starr Crest in Pigeon Forge allow guests to see some fantastic gorgeous Tennessee mountain views. 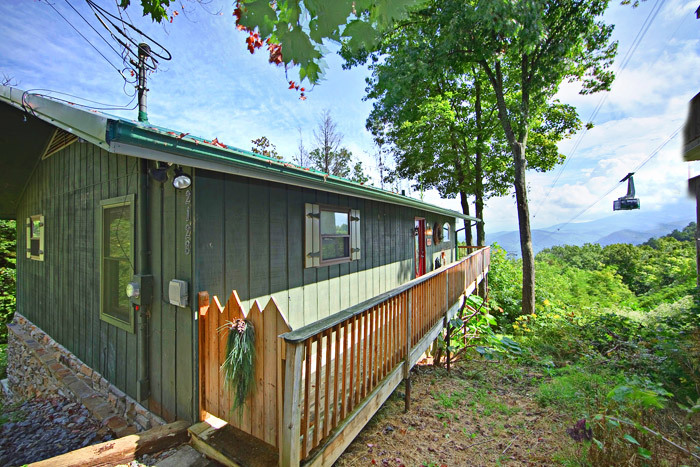 Better yet, these cabins are convenient for reaching Downtown Pigeon Forge and Dollywood. Another hotbed for cabin rentals with beautiful views is in the Upper Middle Creek area close to Dollywood. Aside from the perks of being close to a world class Smoky Mountain theme park, many of our cabins near Dollywood boast gorgeous views of the mountains. 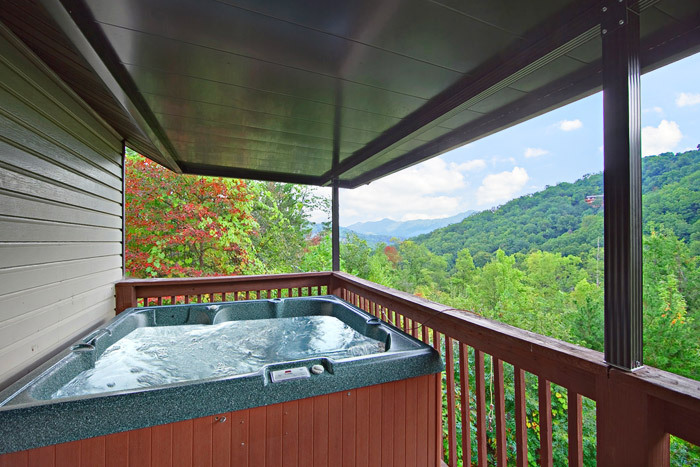 For your next Smoky Mountain vacation, book a cabin with a view you won't soon forget. 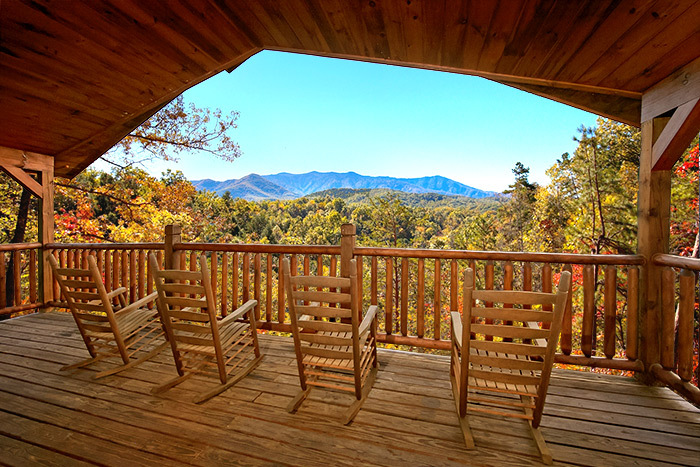 No matter where you stay in the Smokies, there are plenty of incredible views to enjoy from a cabin porch or looking out floor to ceiling windows. When you aren't unwinding at your cabin with gorgeous scenery, you can explore the top things to do in Gatlinburg, our guide to help you plan your vacation!